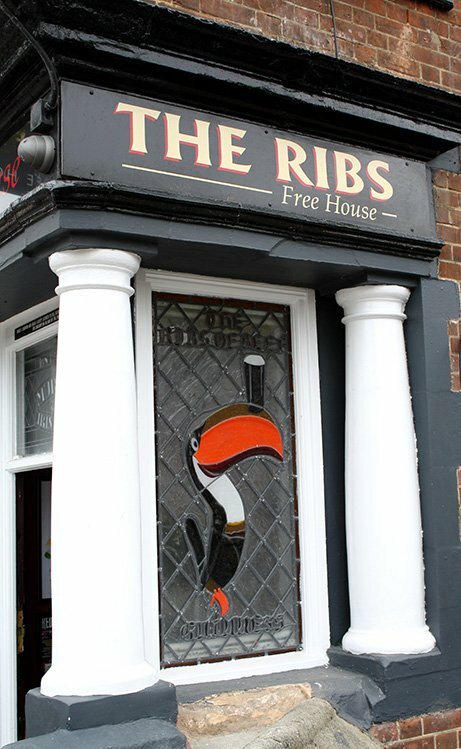 The Ribs of Beef pub in Norwich has been called ‘the City’s favourite local’ for good reason. This friendly city centre Free House offers one of Norwich’s best traditional pub food menus, up to 9 real ales and craft beers on cask (including 5 frequently changing Guest Ales) at any one time, regular live music, a pub quiz, sports on multiple screens (Sky & BT Sport), a riverside jetty and use of their free downstairs meeting room. Roger and Anthea Cawdron have owned this historic pub on the banks of the River Wensum for over 30 years, and their warm and welcoming approach has earned The Ribs a strong following and a great reputation in Norwich. On a sunny summer’s day, there is no better place to sit in the City, than on the riverside terrace or the triangle garden. Catching the afternoon sun, this is the ideal place to enjoy a cooling drink or read the daily papers. In the winter, the main bar is warm and inviting and is even open on Christmas Day so that you can raise a cheer to the festive season. As well as serving delicious pub food, the Ribs, which has Cask Marque status, has a great range of cask and keg beers, and 3 dedicated craft keg lines. The staff will be happy to let you have a taster to help you select the perfect ale for you or if you fancy trying something new. We also have an equally impressive selection of cask cider, draught lagers, craft bottles and cans, wine and champagne. The Ribs is Dog Friendly (for friendly dogs! – dogs must be kept on a lead). Children are welcome between 11am and 6pm, when accompanied by an adult. Great pub, great staff! Jonathan is really knowledgeable and good at recommending beers/IPA etc. Definitely try the Juicy 4pm or Pintel, they are a lovely IPA!!. “Awesome. Fabulous friendly staff & customers, especially the Sunday Funday gang. Riverside terrace. Vast beverage selection. Great live music. Major sports are screen here. Permission slips available! It is the place where you want to go, because every body knows your name. Cheers. Christmas is the season to be there to experience true seasonal spirit & festival cheer. The BEST pub in Norwich & possibly Norfolk, by far.”. “This truly is a gem of a pub. Warm, friendly and such attentive staff.”. 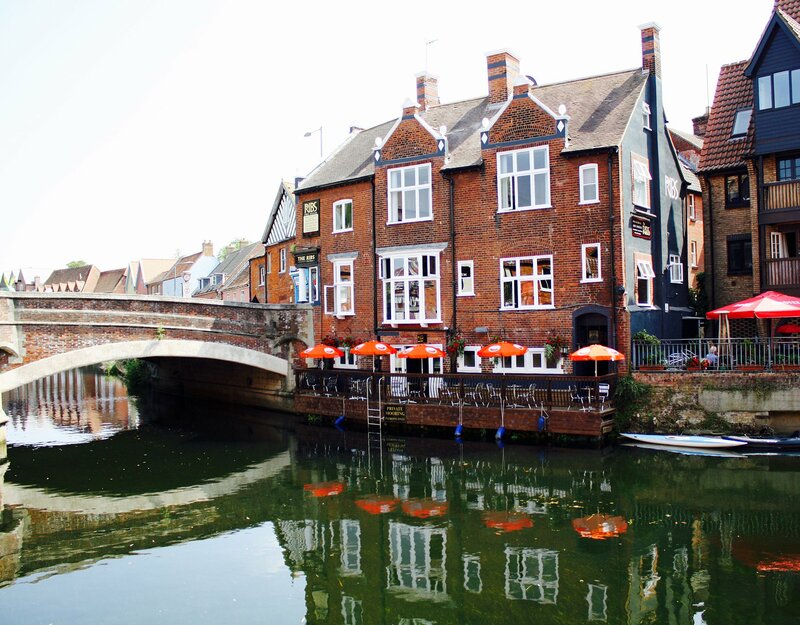 All our food is prepared on the premises, and our convenient location near Tombland in the centre of Norwich, makes The Ribs a great place to stop by for brunch, lunch or drinks overlooking the river. We serve food 7 days a week. We have live music here every Sunday evening, plus a regular pub quiz and other events. You can hire The Ribs yourself for events, parties and meetings. Our unique riverside location means you can enjoy a drink or a bite to eat while overlooking the river. There is also river access and you can moor on our jetty for free if you’re visiting the the pub.